Assamese rock-star, singer, composer and producer Angaraag Mahanta, popularly known as Papon is one of the few celebrities who are very active on social media. 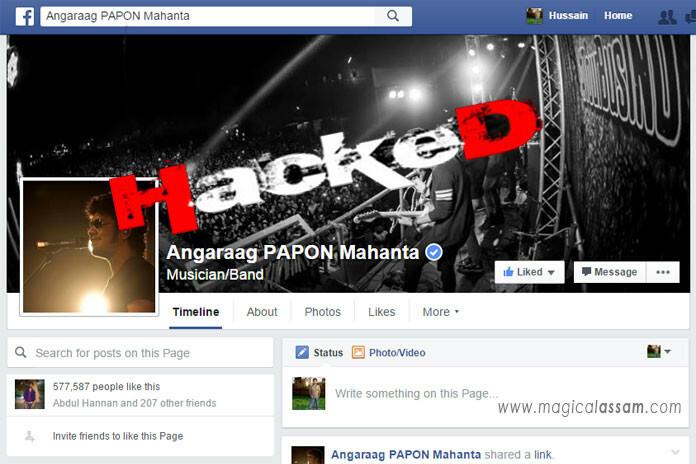 Yesterday night we have noticed some unusual activities on Papon’s Facebook account and today Papon himself confirms that his Facebook account has been hacked. Please take my page down @MarkZuckerbergF!!! It’s very very upsetting!!! Request people to refrain from going to my FB page as its hacked! Meanwhile his fans gone crazy. They literally lose their mind. 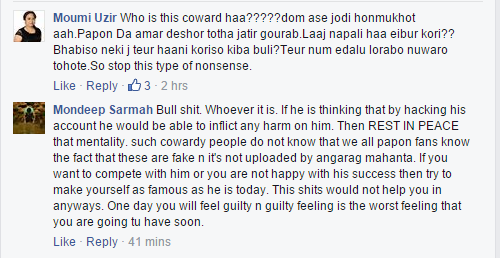 But, recently in a tweet Papon appeals to his fans to report on Facebook. Well, All who wants to get the latest updates about Papon, they can follow him on twitter (@paponmusic). As the page has been verified by Facebook, it will not take much time to recover.